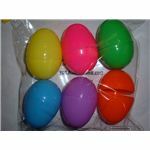 Plastic Easter eggs are useful for toddler activities in the daycare classroom. Do not let these reusable Easter eggs linger in a box until next year. There are a number of teaching activities to do year round. Find out what to do aside from an Easter egg hunt with these "egg-cellent" activities! These eggs are excellent for filling with toys, candy, stickers, and just for hiding on that special day, but far too often they are either discarded or boxed up for a year when the holiday is over. There is so much more -- in addition to an Easter egg hunt – that these eggs are good for. If you knew of a bunch of fun toddler activities with plastic Easter eggs that you could use in your daycare classroom, would you get them back out? These popular eggs come in a rainbow of colors. Reinforce students' knowledge of colors by asking them to sort the red, green, blue, and yellow eggs in groups. 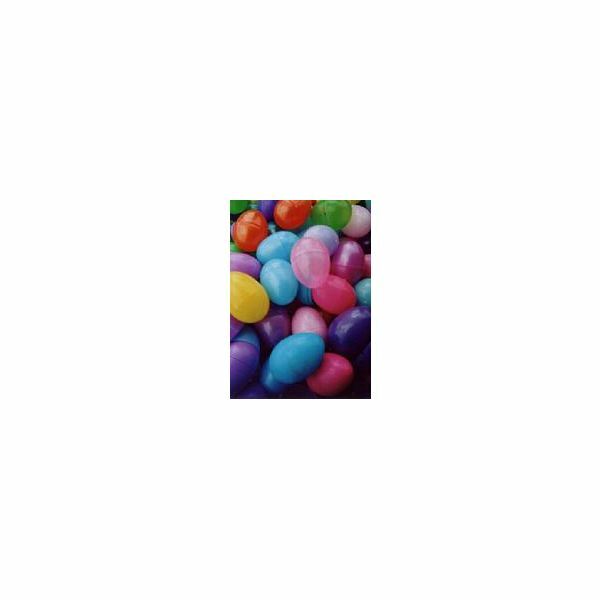 You might even hide the eggs around the room (in plain sight), but instruct students to only collect the red eggs, or perhaps green and yellow ones. If the plastic eggs have totally detachable bottoms, take a number of them apart and ask the students to put together red tops and blue bottoms, or vice versa. Depending on the toddlers' understanding of numbers, use them to either practice counting or start some basic math. For example, count out five eggs and then have a child count them back to you. Practice doing this forward and backward. If a child is capable of counting to 10, work on basic math, such as adding the eggs. This demonstrates the concept that numbers combine to form new numbers. Sorting is a fun toddler activity and if you have eggs in a variety of sizes, colors, and designs, this might be just the right activity for your class. Ask students to sort them by size, color and of course design. Add in some basic math by asking them to sort three of one kind and two of the other. 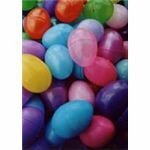 Even if you only have a handful of Easter eggs, you can still do some fun activities with your class. Place them in plain sight and then ask your students to approach the first egg. You might ask them to hop on one foot three times while rubbing their tummy or you could ask them to walk backwards. You could even ask the toddlers to do bunny jumps to reach the egg. Then it is on to the next egg, and more instructions on how to get there. Fill some big plastic eggs with dried lentils or peas, and tape them shut. You have instant, hand-held maracas. Encourage your students to march around with you shaking the maracas, and have additional fun by singing and stomping. First and foremost, you are teaching the children to use recycled products. Additionally, you are encouraging an early exercise of thinking outside of the box, an ability that will enhance pretend play. Finally, you are laying the foundation for realizing that fun games and toys are literally everywhere, and not restricted to coming from a new box that was just bought at a store. At a time when money is tight, this is a most valuable lesson indeed.